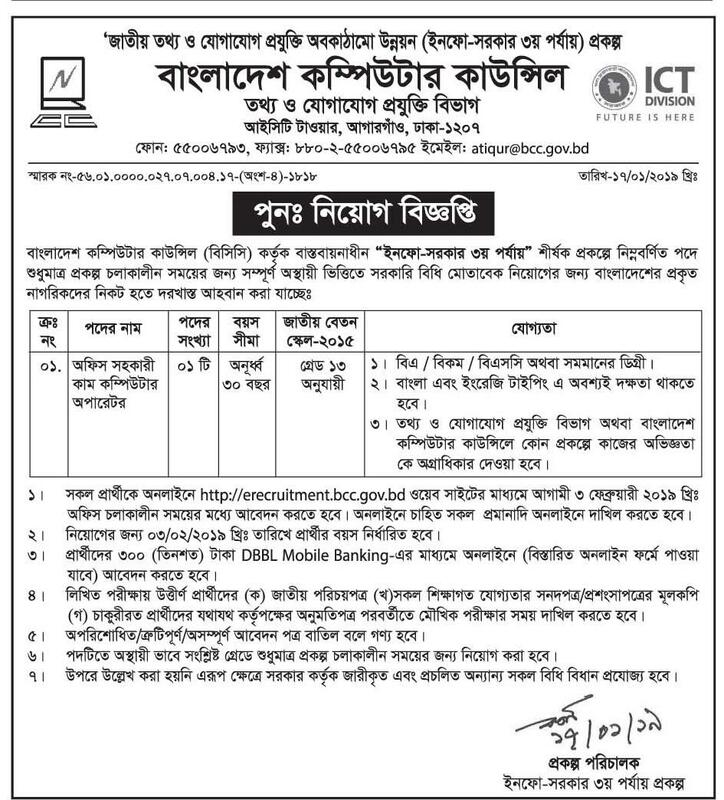 ICT job Circular 2019 with ictd.gov.bd Application Form Download Available. Directorate of Information and Communication Technology DOICT New Job Circular Announced By the Ministry Job Authority. Informative Sector Controller Upload This bd Latest Vacancy on Official Website. you See Doict Recruitment in bd All Notice on Edujobbd.com. In the Online Job circular Provider Portal, Available DOICT Govt Job Application Form bd. Division/Sector name: Directorate of Information and Communication Technology (DOICT). Source: direct Online official website. Posting Date: 17 January 2019. Application Online Deadline: 03 February 2019. Job Title: ministry of information job circular. Applicant Apply Fee: 100 Taka. Total job Post: 500 (Five Hundred). Salary: As Per ICT ministry job circular 2019. If you interested for career opportunities in information technology, You must have to Download telecommunication job circular 2019 with Application Form doc through Online. Alos Download The Govt Job Application form here.